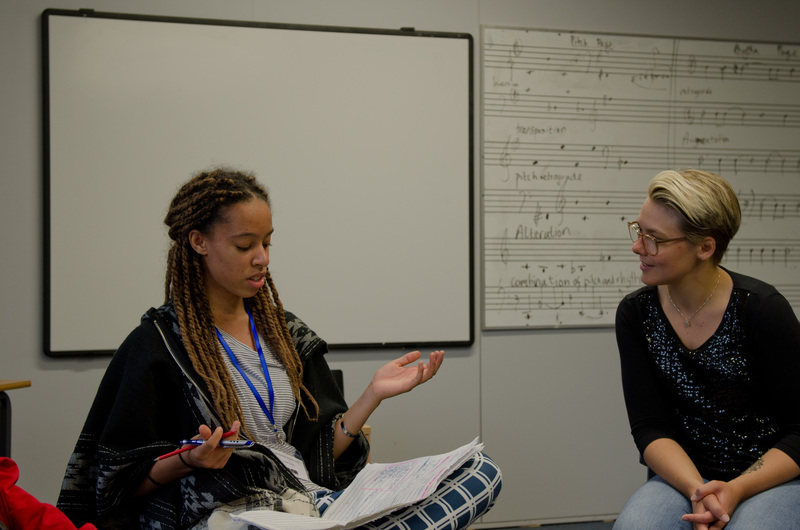 As part of my Bronze Arts Award, I chose to review a workshop put on by Laura Bowler, a professional composer, musician and theatre director, for an hour and a half. The event took place within the Purcell school of music main hall on 01.08.2017. I recorded my thoughts about the evening by documenting sections of the performance and noting down my main thoughts directly after the main performance. As an audience participant, I particularly enjoyed the way that Laura managed to create a positive energy in a room full of teenagers (something I know that is quite hard to do). The way that Laura incorporated different warm ups and activities to demonstrate physical theatre techniques was both interesting and intriguing. I learnt about the physicality of music and how that can dramatically develop piece of music. I also learnt about ways to encourage musicians to explore ideas/musical directions that are out of their main comfort zone. The only thing about the evening I thought could have been changed slightly was the timing. Due to the short time limit, some of the activities were not experienced by every member of the audience. Perhaps increasing the duration of the session would allow for more ideas to be explored and equal opportunities to be given to every member of the audience. However, even with that slight improvement, the evening was both inspirational and enjoyable. I would wholeheartedly recommend the event to someone else as it will give them an opportunity to explore new ideas and to push the boundaries of performance. I will also research this type of music further in my own free time as it is innovative and unique. Previous Post Olivia’s Thoughts on the Week!